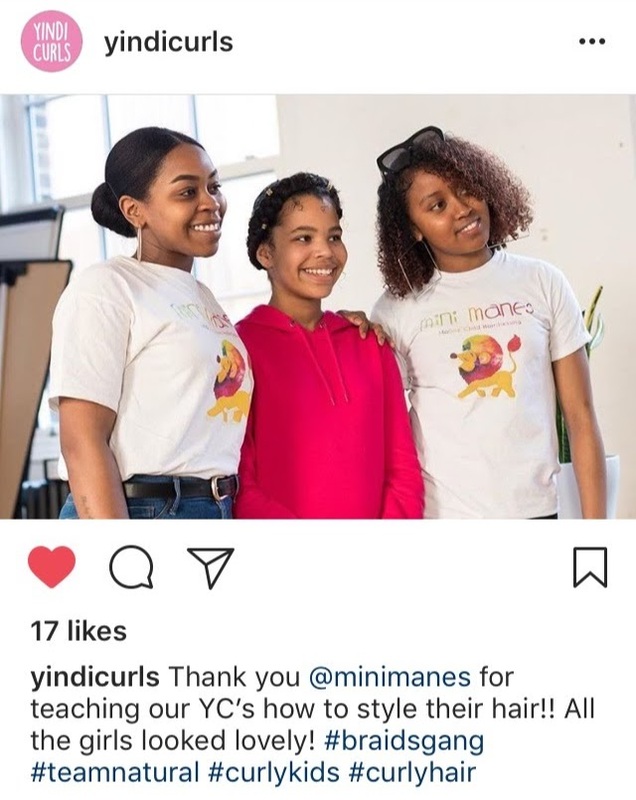 Today, Mini Manes turns 3 years old and I wanted to mark this occasion with a quick blog post to you all. We are so proud of everything we’ve achieved within the last three years and I cannot wait to see what the next year holds for us. When I founded the business, I did so with the passion and determination to make a difference! I couldn’t have predicted the positive feedback we’ve received from people who believe in our vision as much as we do. I’d say this year has been the best to date – even with the high and lows – but every moment has been worth it, and we are counting our blessings every day. The magazine feature we did with Galdem! We are so grateful for the support they showed us; helping us spread our message to a new audience with true conviction. After this, it would be the World Book Day video tutorials we did with FB channel Brush. This took us out of our comfort zone, allowing us to express our creativity in a more visually aesthetic way, which had always been a goal for us. I hope to bring you guys more videos like this in the future! The legend Stevo the Madman supported and encouraged us to be great from day one. Without his platform, I probably wouldn’t have many of my amazing clients today. 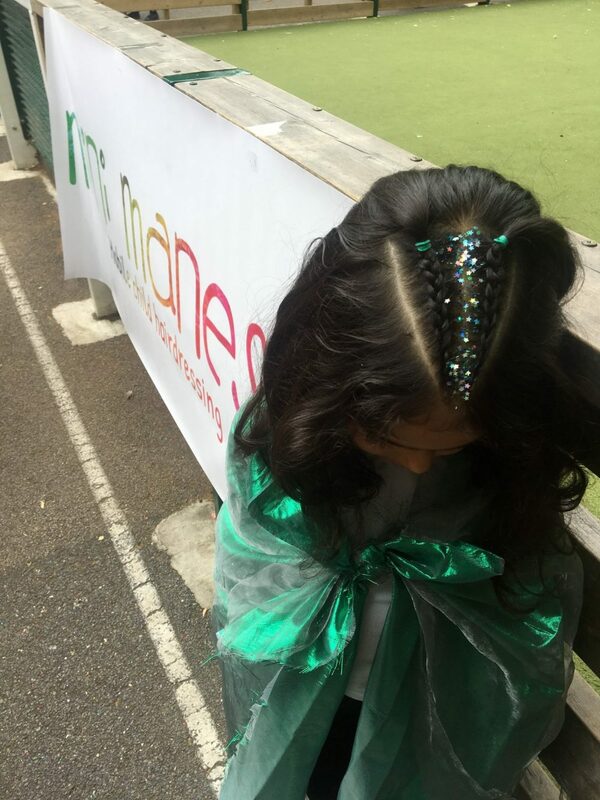 Each year, we’ve gone into local primary schools and held a braiding stall. We love these fairs so much because it’s quite nice to have a change of scenery, plus we love meeting other small businesses in the area. Our summer wouldn’t be complete without a fair or two… plus glitter lol. Our book club has also been a huge success. 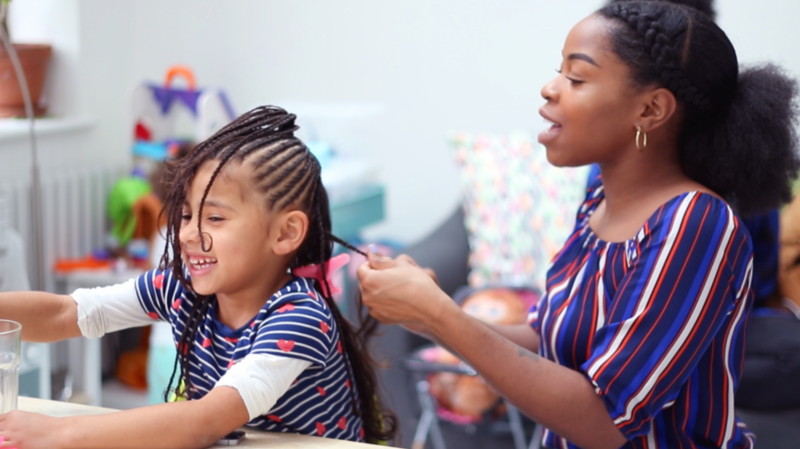 We’re really happy we could share uplifting and encouraging literacy, promoting self-love through your hair or skin to young girls. Soon, we’re hoping to make the book club an on-going thing, rather than once a year. Representation matters so much. With every bit of positive feedback we receive, we feel just that little bit closer to achieving our goal. These acknowledgements make us proud that others are noticing our efforts. Off the back of this feedback, we’ve had the privilege to meet and/or work with some fellow small hair care businesses. All are amazing, but the best part is working with fellow WOMEN who have the same or similar goals, creating an empowering environment where we support and build each other up the best we can. More please! I know there are a lot more things I could mention, but we have narrowed it down to the things that have stood out to us over the years. 2019 will be huge for us, and we are so very grateful for all your support! A massive thank you to all those who have helped me make the business what it is today, and happy birthday to us! !